This nature reserve was created from an illegal dump containing poisons and heavy metal. It was opened to the public in april this year, and you can walk, cycle, canoe and trail ride through here, with nothing to disturb you but the swans. Its situated in Broek in Waterland and its on my doorstep – thanks to all the people involved in cleaning it up and making it fit for the public. It is beautiful. Of course, swans ultimately can be quite disturbing. My parents lived on a waterway on Long Island that got to be overrun by the swans, but compared to chemical waste and poisons, I am sure that you all will deal with that problem when you face it just as creatively! The Volgermeer polder is beautiful now, Lynn, we are very lucky to have it on our doorstep. 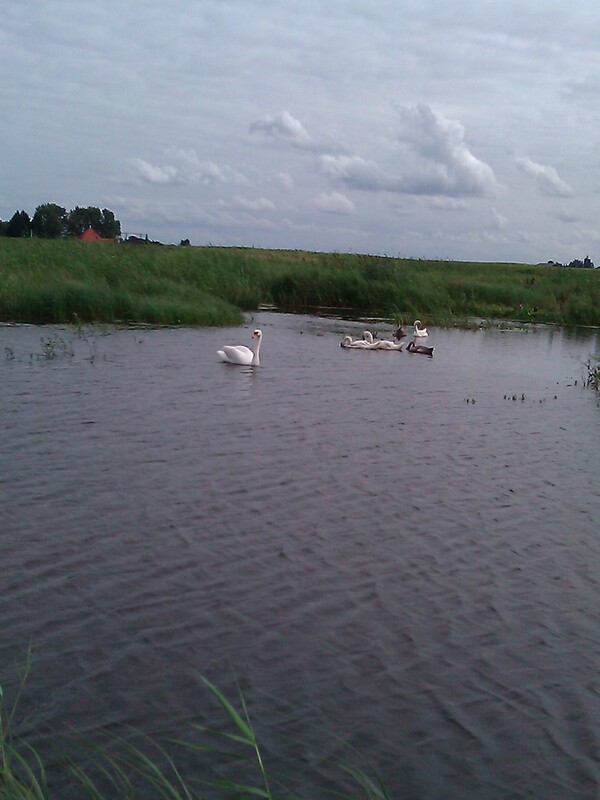 As to the swans, they are protected here, and we do have many breeding pairs, not only in this naturre reserve but along the quiet roads and tracks around our local area. Most of the year they keep to themselves, but they can be very aggressive during the breeding season when they are protecting their young. at that time of the year its wise to give them a lot of space!